You have certainly note that the Game Center (which was in iOS 4 Golden Master) is not included in the final version of the iOS 4, this Game Center is planned for Autumn. 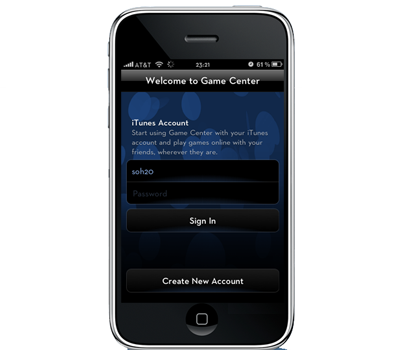 Here is a little tutorial to know how to install this Game Center on your jailbroken iOS 4 ! The Game Center is a platform which will permit you to play with your friends, a social network mabe by Apple. Know how to SSH your iPhone. Unzip the downloaded file above. Transfer the folder Game Center.app in /private/var/stash/Applications. Then right click on the folder and put permission 0755 in properties (use iFile, WinSCP or iFunBox). If it does NOT work, in the folder just transfered, put permission 0777 to files french.Iprog and game center. Install the application Game Center.